This was the first time I have ever seen a glass lizard in my life, but I knew right what it was when I saw it crossing the road. I jumped out of the car to get some photos, and then made sure it got across safely. Glass lizards are amazing because they look like snakes, but are actually lizards. Check out the ear-holes! 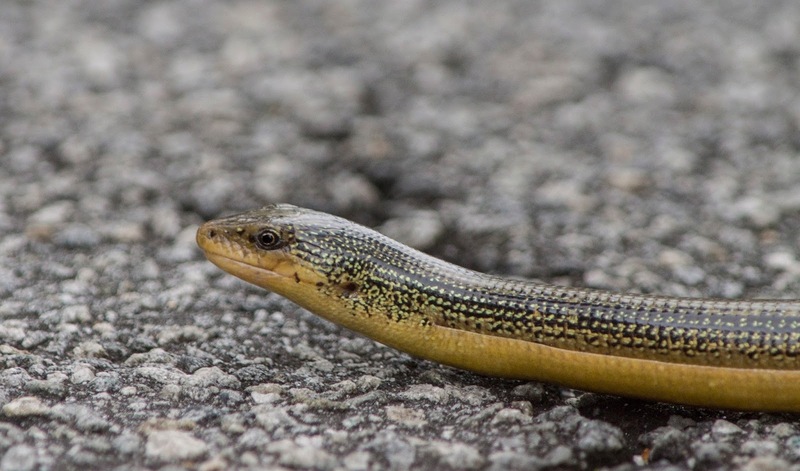 This species is the Eastern Glass Lizard, and one fun fact I found on the internet is that they are called glass lizards, because just like other species, their tails break off like glass when threatened.